With the humidity on the rise and the party season in full swing, I am getting asked about matte foundations and shine control. Fabulously matte finish unmatched in a natural, liquid foundation! Complete Coverage Foundation is completely vegan (YAY!) and toxin-free. Not a surprise that these have been used by many pro's backstage at NYC Fashion Week. Prime well and apply & blend with quick brush strokes. If you want a lighter finish, use a wet/damp brush. Remeber this unique Serum Foundation? Still a winner for oily skin as it dries matte. Read my full review from a while back here. A Jane Iredale staple in my makeup kit, PurePressed allows for super quick & easy application of a flawless finish. With its buildable coverage, it can even act as a concealer. Complete with SPF a compact for your handbag this is a Summer go-to. I like this one to cover acne or troubled skin. But with a light application its also great to keep healthy combination skin matte & beautiful. Also suitable for mature oily or combination skin. Another Jane Iredale base, that made it into my list! 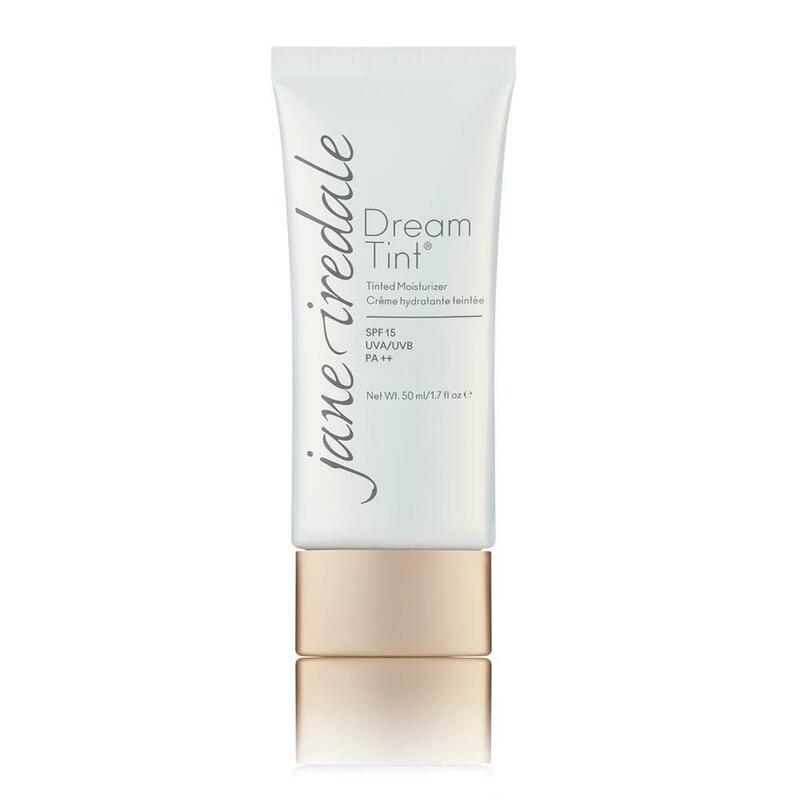 Dream Tint is a very lightweight tinted moisturizer that minimizes pores and smooths the skin instantly. If you don't like foundation and are scared of coverage this will be your new friend. Comes with SPF 15 which is great for a light daily protection. A rare find to have a tinted moisturizer that isn't overly dewy. This one gives a beautiful subtle glow, but no oily, dewy, glossiness on the skin. Of course, if you are truly oily please use a primer and setting products in addition to pre-long the wear of your foundation! I also recommend powder blush, bronzer & highlighter as opposed to cream products, which will suit oily skin so much better! I might do a post on just that soon if you are interested?